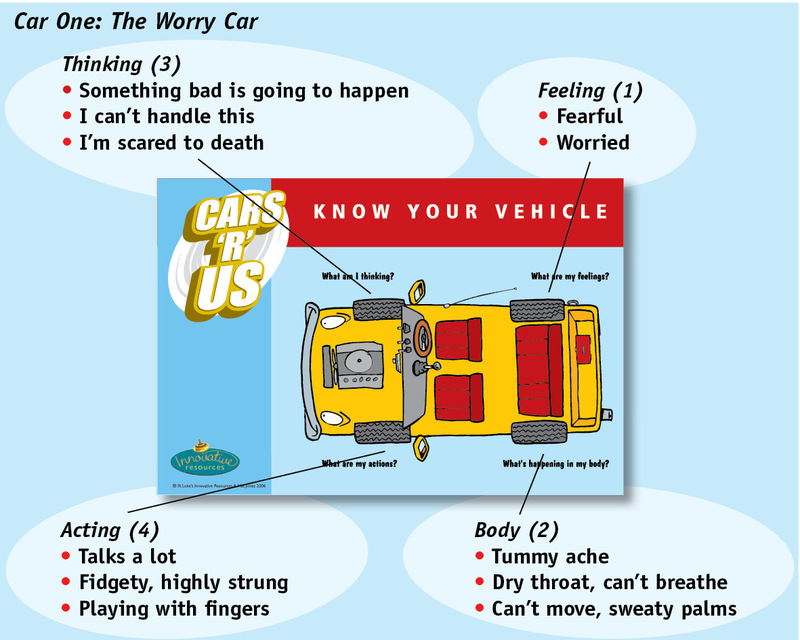 Using the metaphor of a car, imagine James, a nine year old boy (car) who was suffering from severe panic attacks. 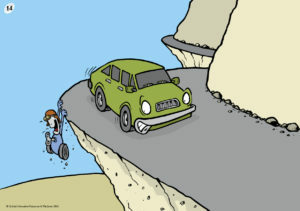 I began by asking him about his symptoms (the back wheels), and then asked him what he was telling himself and doing (front wheels) when this happened. I suggested we make a new car and asked him how his body would be responding (back wheels). Then we discussed some ideas for what he would need to be telling himself and doing (front wheels) if he were to be feeling this way. 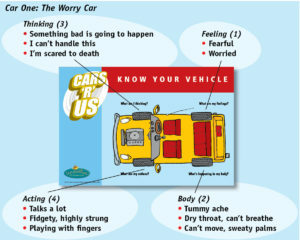 The second car also represents a clear action plan for the person to manage the symptoms and feelings of anxiety. 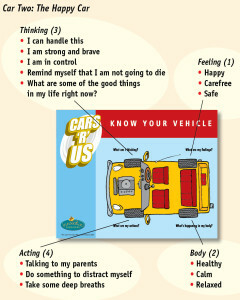 Cars ‘R’ Us had its origins in Dr William Glasser’s Reality Therapy and Choice Theory. creating a sustainable blueprint to manage future challenges. So welcome to Cars ‘R’ Us, a powerful therapeutic tool. It has been designed to provide a framework for nearly anyone to do effective therapy with others, or as a self-evaluation kit. It is also designed as a therapeutic conversation-starter to be used in schools, with families, in counselling situations or in the corporate world. It is deceptively simple but contains the resources for many counselling sessions. It is ideal for working with young people especially at a time when depression and suicide is so prevalent. 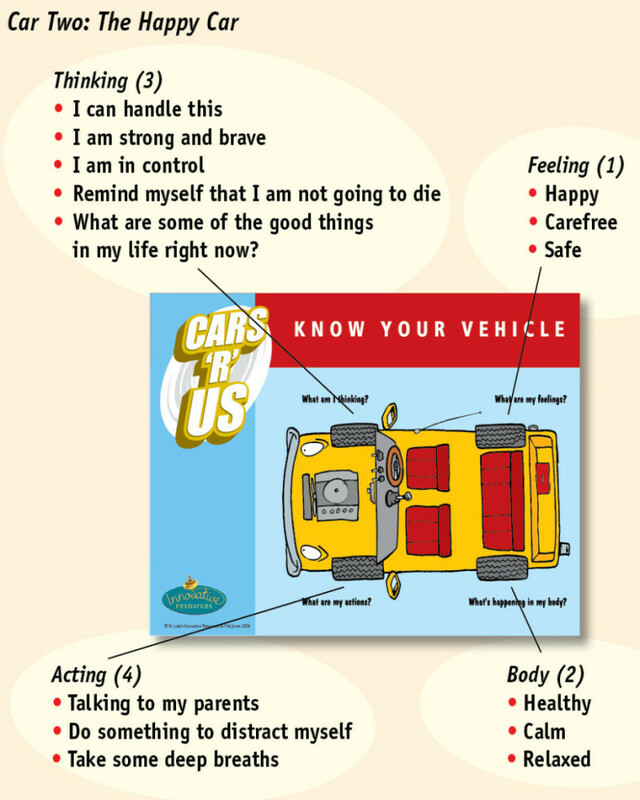 The content for this article originates from part of the booklet that accompanies the Cars ‘R’ Us card set, written by Ivan Honey.